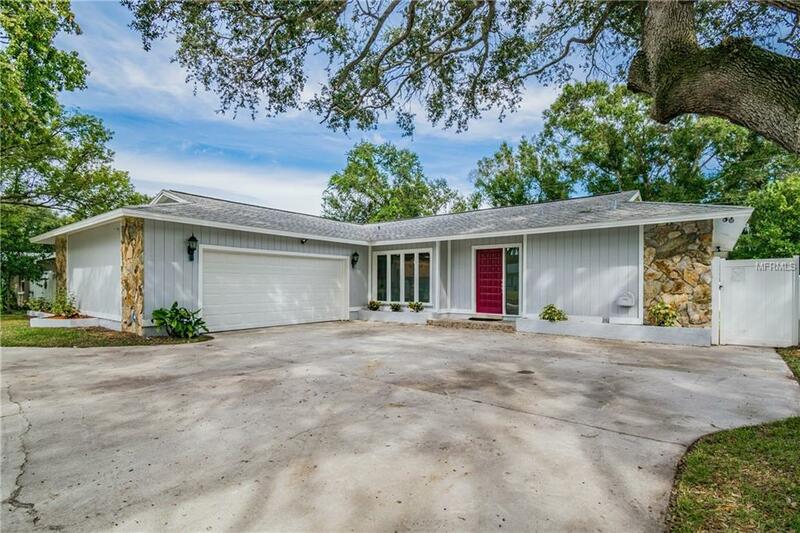 Beautiful Ranch style home located in the highly desirable Douglas Manor community in Clearwater area. This completely renovated 3 bedroom, 2 bathroom and 2 car garage home is zoned for Plumb E.S, Oak Grove M.S. & Clearwater H. S. Entering this magnificent home will take your breath away as your greeted with a palatial family living room, a brick look porcelain title fireplace, and Ocean View Oak floor that is truly refreshing with light, neutral tones, a textured surface, for a refined, rustic feel. This beautiful floor features the exclusive WetProtect technology combining a perfectly natural wood look with lifetime waterproof protection against spills, splashes that flow throughout the home. The kitchen is a chef's dream with , all wood soft close cabinets with silver nickle hardware, granite counter tops, breakfast bar, and brand new stainless steel appliances . This split floor plan home has large bedrooms with walking closets each. The laundry room is also large with a utility sink, hanging space and cabinets. This home offers 2 car garage with plenty of storage. Too many new upgrades to list. Make this home yours before it's too late! . Seller nor Agent certify and buyers encouraged to verify the exact accuracy the house size, the room sizes, or lot size.